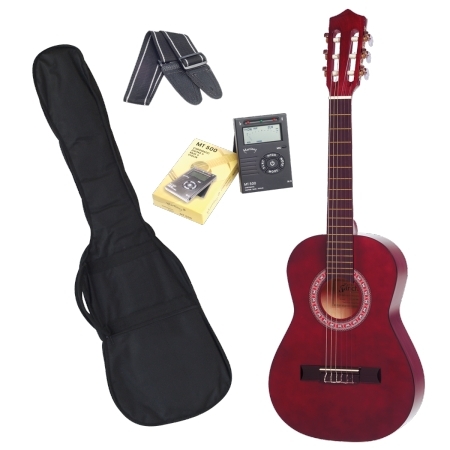 This 1/2 size Sanchez SP-C34-TWR Classical Guitar Pack is suited to the younger beginner ages 5 years and up. An ideal first instrument, it features stable tuning and playability. This model comes in a Transparent Wine Red finish but is also available in a wide range of attractive colours.